The B-2 Spirit is a four engine, two crew, military strategic stealth bomber built by Northrop Grumman since the late 1980s. The stealth bomber features low observable stealth technology and is designed for penetrating anti-aircraft defenses. There are in total built 21 aircraft that all are in service with the United States Air Force, except for AV- 11 which were severely damaged by fire and AV- 12 which crashed in 2008. The B-2 is a versatile aircraft in regards to deploying both conventional and nuclear weapons, and is the only aircraft today that are able to carry large air-to-surface standoff weapons in a stealth configuration. The total weapon load is up to 80x 500 lb JDAM GPS-guided bombs or up to 16x 2,400 lb B83 nuclear bombs - this combined with the advanced stealth technology equals an aircraft that an enemy would not want to meet, and probably never will see before it is too late. I received this add-on through FSPilotShop and the download went as usual very quickly and without any problems. The connection to the download server is good and the download file is not more than about 56 Mb, so the download was completed within just a few seconds or so. The installation also went perfectly - very quick and easy, just activate the included installation wizard and that will take care of the rest for you. The installation wizard is very user friendly and all I had to do was to provide the installation wizard with my key-code. Hereafter the complete installation including selecting the correct FSX directory was performed automatically. After the installation had completed I opened up my FSX airplane folder to verify that the aircraft had indeed been installed correctly. This of course was perfect and I now opened up my FSX and went directly into my virtual hangar. I went directly to the Area-51 Simulations folder in my virtual hangar but could not find the aircraft there. I found the B-2 located in the Unknown folder which I think is not really good - it is a small detail that I can easily correct myself, but it shows me that maybe this aircraft has been rushed to the market. When I entered my virtual hangar and found the B-2 I was quite surprised because I only found one livery - I had expected a minimum of maybe 3-5 liveries since there are actually built 21 aircraft. I know that the 21 real life aircraft looks a lot like each other, but they each represent different states of the US - but that said, I was now ready for taking the aircraft for a flight. I started my view of the B-2 by taking a walk around the external part of the aircraft. The model is very well made and looks very realistic. The paint job is done beautifully and the model features all the unique details that are found on the real B-2. This I have verified using various pictures from the internet and from Airliner.Net. Furthermore the model also features various animations such as landing gear up/down, gear suspension, wheels turning, flaps, spoilers, door/ladder, control surfaces etc. However a little minus was that the nose wheel was not animated when turning the aircraft. This is a small detail, but a rather important one, and the lack of this details takes away some of the realism when using this aircraft taxiing from parking to take-off and back. The model is of course also equipped with lights and the effect from these lights are of a quite good quality with a clear, clean and bright shine. I did however miss the starboard side wing tip light (the green one) which for some reason did not appear on the model. The textures used on the model are of a good quality and creates a very realistic look of the aircraft. I sent an email to Area51 devs in regards to the missing green Nav light, the incorrect ejection seat (fixed in hot fix patch from first release), incorrect serial number year for the aircraft texture and the incorrect air refueling door modeling. Since the first release, the only fix has been the ejection seat has been the only fix issued from them. Nor has anything else been heard about the other problems. Welcome to Area51 customer support I am still waiting for a serial number that works for my C-17. I know this is probably a unfair opinion about this model but I worked with the B2 program and its crap. Many flaws. I have been informed by Area-51 that they are working on an update for the B2, but to be honest I don't know if the update is the patch already released or if there are going to be released a new one. I certainly agree that the patch released is not covering all issues, so I hope there will be another update. I think that many developers have a lot of problems doing the B2 because it is very difficult to obtain pictures from e.g. the cockpit. If they cannot get proper documentation it will be a very difficult task to create an add-on that will be 100% realistic. I have tried out several B2 aircrafts for both FSX and FS9, and in my opinion this one is better than average. However there are for me still a lot of questions because I could not find all documentation, since the aircraft is still a very secret aircraft in regards of e.g. The cockpit. 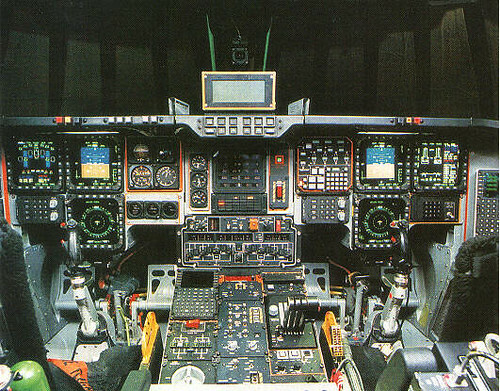 You mentioned that you worked on the B2 program, do you have any pictures that you could share with me of the cockpit? If they are classified it is of course okay not to share, but I really like the B2 and find it very interesting - therefore to get pictures of the real cockpit would be awesome and for me a personal interest. Hi Ray your review was good and detailed for the product you had on hand as far as turning over any data about the B2 would surely send me to jail for the rest of my meager life. Based on what I have seen in "public" pictures as compared to this model the intake configuration is way off. Is it worth 29$? NO. The VC is below the standards, and loosely based photos. Why do it at all if you cant do it right. I am biased because of the fact I was involved with it and its unfair to impress that on the fs community, but for me its below any standard, for the a-typical flight simmer its more than likely cool to look at toss around in the air and land it has no real potential other than being eye candy. For the money they could have faked it and thrown in a decent FMC. Yesterday I checked out a copy of Inside the Stealth Bomber by Bill Sweetman, published by Motorbooks in 1999. Page 56 is a full page color photo from Northrop of the B2 cockpit panel. The same photo can be found on the Internet with a little effort. Maybe B2 cockpit images were hard to get years ago, but not so nowadays. I was not able to find it, but could you send me the link? Your review was good and fair, based upon the knowledge you have of the actual aircraft. The question really goes out to Area51 as to why they didnt do better research on the subject before releasing. As was shown, images were available to work from and many of these inaccuracies would not have modeled had they done a bit more searching. Lets hope that they do indeed release a patch to fix the mentioned issues. Here's my review of it. I too was fair, but this thing leaves a lot to be desired! I have been in awe of the real B-2 ever since pictures were released of it to the public. I would love to a have a really good sim version of it for my sim, but as has been noted by many others, the VC really lacks authenticity. I can only imagine what this model would be like if it had a VC with the same quailty and realism of Dino Cattaneo's F-14D. Marginally better than the B-2 released by Alphasim many years back.